TRENTON-- Anwar's Reflections--a Trentonian affiliate-- sat down with Grammy nominated gospel recording artist, Kevin Jarido, Friday morning to discuss a variety of topics, including, but not limited to, his latest album, his passion for music, his faith, and much more. Since then, the gospel vocalist has been singing with the group Nu Virtu for almost 10 years now. Having started out in detention centers and shelters ministering to the least, the last, and the left out, Jarido and his group have now released two albums to date. Under the guidance and direction of David Evans, Bishop of Bethany New Baptist Church, Jarido and Nu Virtu were able to launch their debut album, I'm Free, in 2008, which spoke to issues of freedom and rejoicing. Their latest project was released in May 2012 and is called Time To Get Up. Jarido, a Seton Hall University alumni, has been likened to Donnie McClurkin and Hezekiah Walker, but the gospel singer tends to shy away from such comparisons. He says he and Nu Virtu have a style and approach all their own. Jarido said that while creating Time To Get Up, there were definitely challenges, but that he went into the process knowing that, "Anything worth having is going to be difficult". This up and coming vocalist also made it a point to stress the importance of planning and praying as a way to overcome challenges when embarking on any journey that an individual may decide to undertake. 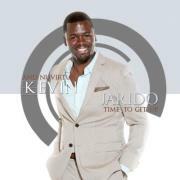 For more information on Kevin and his new album, Time to Get Up, visit his website by clicking here. Or you can like him on Facebook, by clicking here. To schedule Kevin Jarido and NuVirtu for engagements and appearances please contact Kimani H. Davis, CEO, Transform Agency, at 609-284-2946, or you can email the office at transformagency@aol.com. 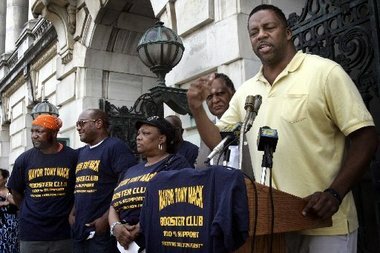 TRENTON-- Local activist Dion Clark speaks out about being a Black Republican in a predominantly Democratic town after viewing Kevin Williams new documentary Fear of a Black Republican at Princeton's Nassau Inn. 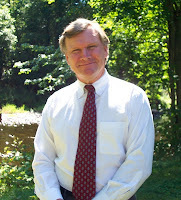 Clark, a longtime resident of East Trenton and former Mercer County Freeholder candidate, sat down with Anwar's Reflections-- a Trentonian affiliate-- Saturday morning to discuss his views on the Republican party and the state of his beloved hometown, Trenton. In the interview, Clark said that Democratic leadership has failed urban communities like Trenton for far too long and that it is time for change. The East Trenton native said that many people from Trenton ended up not voting for him when he was running for Mercer County Freeholder this past November simply because he was a black Republican. Clark thinks those sorts of judgments are misguided and rooted in ignorance. Clark says that its important that people come to the Republican party with an open mind. During our interview, he said that it was important to focus on providing more opportunities to individuals living in urban communities like Trenton, not simply throwing money at social programs as Democratic leadership has done. The East Trenton native insisted that the emphasis should be on giving people a hand-up, not a hand-out. He said that the current system under Democratic leadership has helped create a welfare state where some people have ultimately developed a sense of entitlement after receiving assistance from the government. He went on to say that some people have turned this assistance into a way of life where they rely exclusively on the system generation after generation. He said, "its kind of like a checking account at a bank, if you don't deposit anything, how do you expect to get anything back". On the other side of the coin, there are those that suggest that the Republican party is indifferent to the plight and predicament of struggling working and middle class individuals. Nine times out of ten, these critics point to budget cuts that adversely affect the everyday lives of poor and working class individuals. Cuts to city aid, education, and so forth are usually what they reference. Critics like New York Times columnist, Paul Krugman, argue that the Republican party only seeks to undermine social programs like Social Security, medicare, and veteran's health despite the value they bring to society. Critics of the Republican party argue that they only look out for the rich and well-to-do by refusing to raise their taxes despite their large incomes. TRENTON-- With the help of the community, Classics Used Bookstore in Trenton has gone from being in 137th place to now being in 64th place in this year's PepsiRefresh Project, moving up 63 slots in just two weeks. Yet the well-liked bookstore still needs your help. Eric Maywar, the owner of Classics Bookstore, has entered his Trenton Books at Home Program into a contest to win a $25,000 grant. The grant contest is sponsored by beverage giant Pepsi. To help support Classics and their endeavor as they strive to win Pepsi's Refresh Project, you can vote for their Trenton Books at Home Program by clicking here. You have until December 31st to vote. You can also vote by texting 110506 to Pepsi (73774). Standard text messaging rates apply. 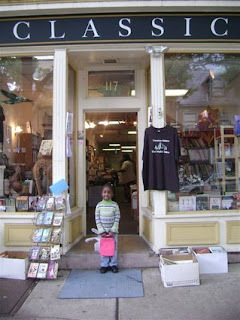 The Trenton Books at Home program provides free books to Trenton kids. To read more about the Trenton Books at Home program, click here. 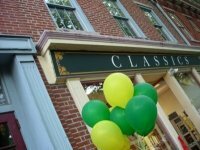 To learn more about Classics Used Bookstore in Trenton, feel free to contact Eric Maywar or Laurice Reynolds at (609) 394-8400. TRENTON-- City bookstore aims to put 60,000 books in the hands and homes of Trenton kids. Eric Maywar, the owner of Classics Bookstore, has entered his Trenton Books at Home Program into a contest to win a $25,000 grant. The grant contest is sponsored by the beverage behemoth Pepsi. The Trenton Books at Home program provides free books to Trenton kids. For three years, this program has handed out over 2,000 books a year with the help of schools, churches, after school programs and community groups. To win the Pepsi Refresh contest, the Trenton Books at Home Program needs your vote because the 15 ideas that get the most votes by December 31, 2011, win $25,000 for their cause. According to a press release, studies show that when kids have books in their homes, whether the kid is struggling or already successful, they do better in school and stay in school longer. Winning the grant would mean Trenton kids could get over 60,000 books for their homes. Click here to vote and help raise 60,000+ books for Trenton kids. Please note: you can vote once a day until December 31st. HAMILTON-- Local writers and authors alike have teamed up with area non-profit to not only put on a show, but also help feed the hungry. Make it Write! for Social Change & Personal Empowerment Writers' and Readers Theater with Holiday Gift Bazaar and Food Drive for Home Front, NJ will be held from noon to 4pm Saturday December 10th at the Hamilton Manor located off Route 130 in Hamilton Township. Home Front, a non-profit organization that fights homelessness, conducts this food drive every year. Last year, they were able to collect 8,110 food bags that were then distributed to feed hungry families in the community. This year, Home Front, has partnered up with the Love of Neighbor Caravan to collect perishable food items. According to a press release, The Love of Neighbor Caravan is a non-profit organization that seeks to foster better human communications and encourage greater civic engagement. Authors and writers alike will be on hand during this weekend's event to give presentations of their work. William Mackson, Marie Calvin Williams-Gant, Robert Gartner, and a host of other published writers are scheduled to be in attendance this Saturday. Free face painting will be provided to all children that attend. Tickets to go to the event are $5 for adults and only $1 for adults that decide to bring with them a perishable food item. For more information, contact event organizer Tim Razzac at (609) 379-2885 or RSVP the event online by clicking here. TRENTON-- Members of the Occupy the Hood New Jersey protest movement met at the Trenton Public Library Saturday morning to discuss issues affecting the community. During the forum, meeting participants discussed an array of issues. 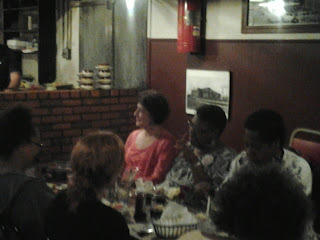 They spoke about the prison industrial complex, education, crime, voting, and civic engagement. 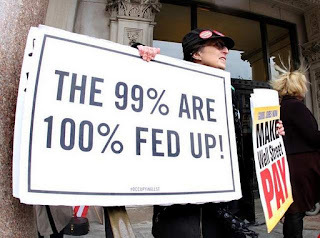 Occupy the Hood was born out of dissatisfaction with the larger Occupy Wall Street movement. Occupy Wall Street originated in New York's financial district just three months ago, but has branched out into various cities across the United States (including Trenton) and abroad. Occupiers protest a variety of issues, including, but not limited, to debit card fees, the growing gap between the rich and poor, Wall Street bailouts and corporate influence in politics. Members of the Occupy the Hood Movement argue that issues affecting the lives of 'minorities' and poor people were not being adequately addressed by the larger Occupy Wall Street protest movement. Out of this dissatisfaction, the Occupy the Hood Movement was born. Hood occupiers speak to a whole host of issues that affect the day to day lives of people living in urban communities like Trenton, Philadelphia, and Pittsburgh. Issues like crime, education, the prison industrial complex, and budget cuts, to name a few. Saturday morning, members of the community engaged in a robust discussion. During the forum, Rodney Jenkins, a city man said, that we need to hold our leaders accountable and not just vote during election years, but rather we need to get more involved in between elections. 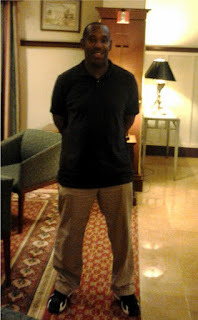 Michael Johnson, a Ewing man said, he would like to see more young people get involved in the Occupy the Hood movement. He said, "I want to see more people become a part of the solution and not the problem". Daryl Brooks, a city activist said, he wants the movement to not only raise awareness but also challenge the banks and challenge the prison industrial complex. He thinks this movement has the potential to become the next Civil Rights Movement. 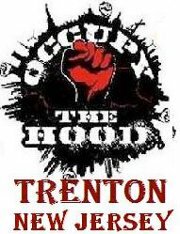 To get involved, contact Occupy the Hood New Jersey by email: occupythehoodnj@gmail.com or visit their Facebook page by clicking here. #5: Waterfront Park. 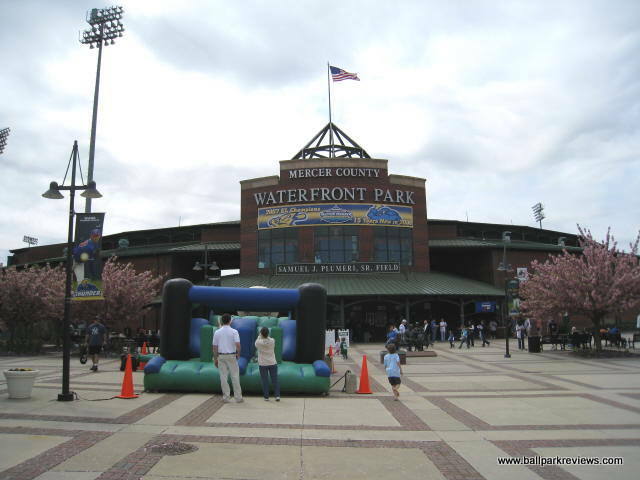 For the sports enthusiasts who want to enjoy a summer’s night out at the ballpark, Waterfront Park is the place to be for minor league baseball. With its scenic views of the Delaware River that the park was built upon, you can kick back with your date in a casual setting while you cheer on the Trenton Thunder. Other than your standard hot dogs and nachos, be sure to also indulge in some Famous Dave’s BBQ and the crab fries at Chickie & Pete’s! #4: The Trenton City Museum at Ellarslie Mansion. Take the chance to learn more about each other and more about New Jersey’s state capital at the Trenton City Museum at Ellarslie Mansion. Boasting a rich history and housing a fine collection of art and artifacts associated with Trenton’s past and present culture, the history buffs out there have the opportunity to explore the museum throughout the year by visiting exhibitions, special events, musical programs and even art classes. While visiting the museum that is set upon the beautiful landscape of Cadwalader Park, you can go on a nature walk with your date and take in the deer paddock, stream, lake and hundreds of trees that create the picturesque environment. #3: Greater Trenton Symphony Orchestra. Founded in 1921, the Greater Trenton Symphony Orchestra is New Jersey's oldest professional symphony orchestra. Over the past eighty years, the orchestra has introduced the experience of live symphony music to generations of New Jersey audiences at the Patriots Theater at the Trenton War Memorial. So if you and your date love music, what could be more romantic than enjoying a symphony orchestra concert together? #2: Grounds for Sculpture. This magical 35-acre sculpture garden and arboretum that holds over 250 contemporary sculptures is another great place not too far from the state’s capital city for a date. Here you can visit the venue’s two galleries with rotating exhibits, partake in various workshops for adults, watch concerts and performances, and even share a delectable dining experience together at the Rat’s Restaurant. #1: Planetarium at the New Jersey State Museum. We all dream of whimsical evenings filled with romance and shooting stars…so why not make that dream come true? At the Planetarium at the New Jersey State Museum, you can bask in the wonder that is created by the largest planetarium in New Jersey. Take your date to recline in the specially designed seats and view a stunning projection of more than 6,000 stars in the sky, experiencing the feeling of traveling through the solar system together. Meggin Sanez shares with us this guest post on the top picks for unique date ideas in Trenton, New Jersey. In addition to guest posting, Meggin also writes for black dating sites where she composes articles centered on safe online dating in the black community. TRENTON-- Cases of cranberry sauce, loads of turkeys, and plenty of stuffing were all on display Wednesday morning at the Lighthouse Outreach Center in West Trenton as a local community organization prepared Thanksgiving baskets for families in the city. Fathers and Men United for a Better Trenton, a non-profit organization in the community, put together 90 baskets this year. Last year, the group handed out 80 baskets. 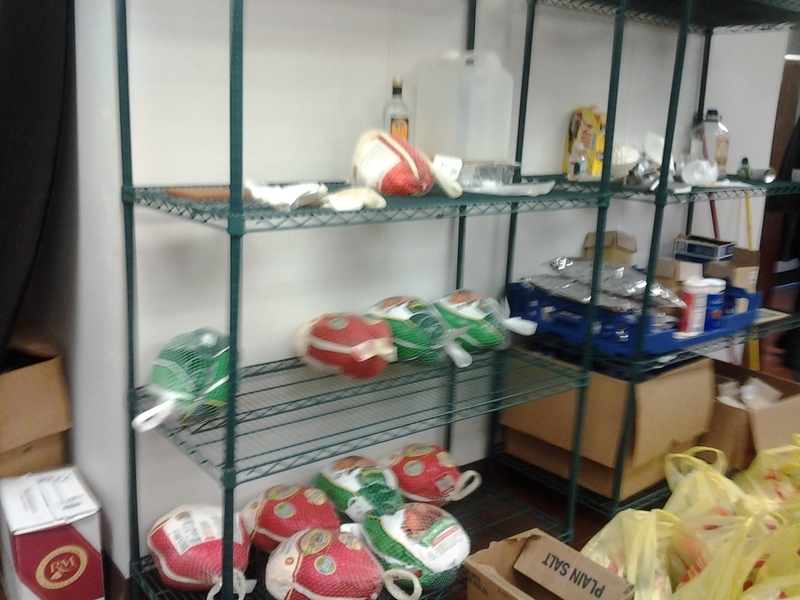 The Trenton based community group has been giving out Thanksgiving baskets every year for the past five years. Various community organizations helped make this year's Thanksgiving basket give-out possible. Mercer County Freeholder Sam Frisbee, Turning Point Church, Lighthouse Outreach Center, Beauty Grove Church, Sister Barbara Counts, the City Employees Union, all made donations and helped out. 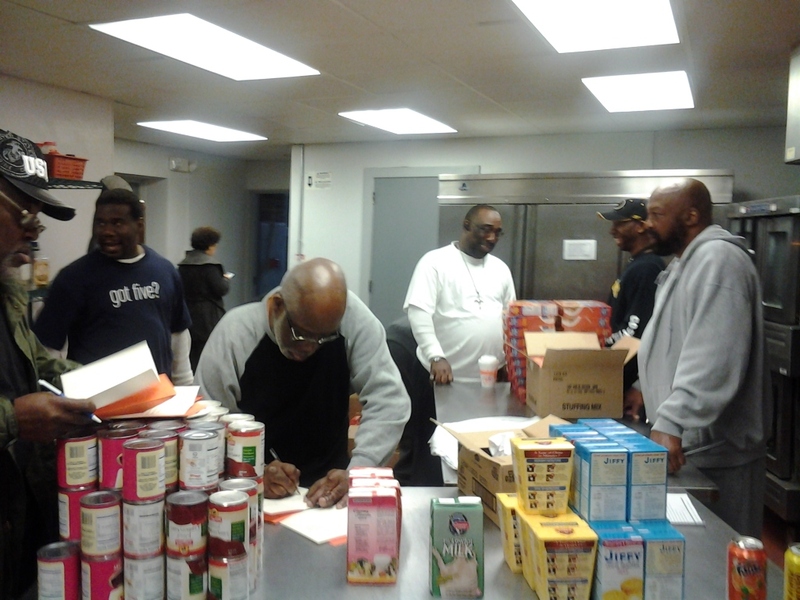 Members of Fathers' will be hand delivering the Thanksgiving packages Wednesday afternoon just before Turkey Day tomorrow. They said they received a call from the police department just yesterday informing them that a family with a 8 year old baby was in need. As a result, they will be making sure that family receives a basket as well so they can have a Happy Thanksgiving. 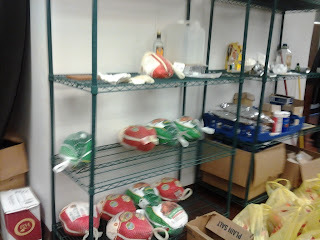 Fathers and Men co-founder, Wayne Council, said that putting these baskets together is our way of giving back. He said, "gratitude is our attitude", that's why we do this every year". Members of the group said they don't limit their assistance to Thanksgiving, they also provide gloves and hats around Christmas time, along with other acts of community involvement. TRENTON-- Paint brushes, pales, and paint-stained clothing were all on display this Saturday at the city's Garvey School as area residents took part in a 'community paint party' to give the private African-centered school a new look. The school's only Taylor Street campus was hit hard after Hurricane Irene swooped through the East Coast in late August leaving significant damage to the eight year old private school. 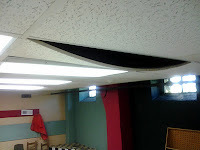 The school's damage was documented on this blog just a month ago. In a previous interview, the school's principal, Baye Kemit, said he was thankful for the help, but said more work is needed. After participating in the community paint party myself, I have to say it was a beautiful sight to see as members of the community stopped by to pick up a brush, roll up their sleeves and go to work. Members of the Garvey School staff also took part in the community paint party that left the facility looking anew but only halfway painted. For more information on how to get involved, contact the Garvey School at 609-792-9038 or visit their website www.thegarveyschool.org/. TRENTON-- Labor union organizations and Occupy Trenton protesters alike head to the State House Thursday afternoon to protest. Labor unions and Occupy Wall Street protesters took part in today's Nationwide Day of Action For Jobs and Economic Justice. Trenton's protest rally was just one among 400 other protest rallies taking place across the country. Protest organizers say that Wall Street executives represent the 1% of the population that is still thriving, making billions of dollars, while the remaining 99% of the population still suffers and loses their homes day after day. 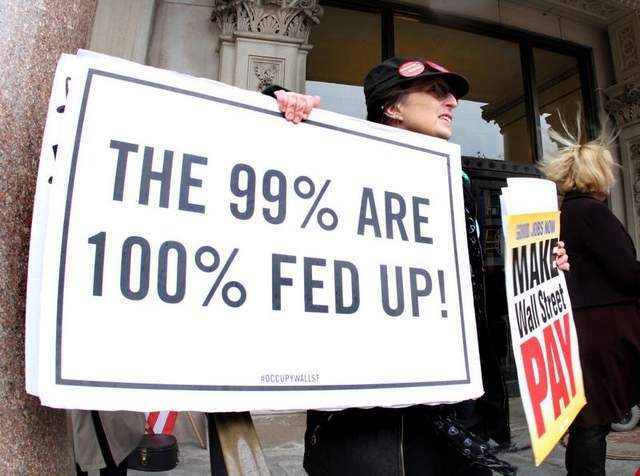 99ers are concerned that a jobs bill has not been passed by the Congress to help jump-start the economy. Despite light rain and chilly weather, protesters were not deterred Thursday afternoon as passer's by honked their horns in support of the rally. Protest organizers seek to put pressure on Congress to tax Wall Street to stimulate the economy and create millions of jobs. Protest organizers say they are fed up and want to see a change immediately. Mary, a supporter of Occupy Trenton and opponent of Wall Street greed said that there has to be a reasonable way to create jobs. She went on to say that it is a false argument to suggest that taxing the wealthy is a 'job killer' which has become an ongoing talking point from members of the Republican Party. A group of singers voiced their dissent by saying that 'those prophets of profit are liars'. They went on to ask, 'will you do what's right, stand up and fight'. Some opponents of Occupy Wall Street criticize the movement suggesting that it has no clear and coherent message. Some critics also point out that the Occupiers wrongly demonize or scapegoat Wall Street executives, who like others in a competitive marketplace, only seek to maximize profits, not get over or exploit working class people. TRENTON-- For those that don't already know, there is a growing movement emerging all over the world. Members of this movement have been protesting a host of issues. From debit card fees and the growing gap between the rich and poor to Wall Street bailouts and corporate influence in politics, members of this movement are mad as hell and are not taking it anymore. That movement goes under the name, Occupy Wall Street. Currently, there is an Occupy Trenton encampment located on North Warren Street in the state's capitol. However, the impression many people have is that the movement is made up primarily of white, middle class individuals. As a matter of fact, while standing at the North Warren Street encampment, I was greeted by an anonymous city man that said he was surprised to see me since I was a black male. Like others in the mainstream, he thought the movement was made up of 'young white kids' to use his words. The city man and I began to dialogue about what the movement is about and he told me that what they need to be focusing on is the hell we [meaning African Americans] have been catching for years down here in Trenton. He went on to tell me that for individuals that live in urban communities like Trenton, the Occupy Wall Street Movement and its protest of Wall Street executives, is far removed from the issues and problems that affect city dwellers on a day to day basis. Issues like unemployment, police brutality, foreclosures, lack of educational opportunity, racial profiling, budget cuts, housing, human services, civic engagement and racism are more immediate problems that affect all too many minorities in urban communities like Trenton, he said. Interestingly enough after this conversation, I stumbled upon a new movement that addresses the exact issues the city man and I were discussing. The Occupy the Hood protest movement has started to pop up in various urban communities like Cleveland, Boston, Pittsburgh, and the like. Occupy the Hood is a growing protest movement that seeks to address issues affecting minorities. Members of this movement seek to bring those same issues to members of the Occupy Wall Street movement, not to compete with them, but to forge a more unified front. Jason Latson, an individual from Roxbury, Massachussetts, said, "I didn't know anything about Occupy Boston before tonight. I heard a lot of chanting in the neighborhood and decided to come out to see what was going on. I think this was a wake-up call for everybody to stand up for equality and peace and justice for all people from all walks of life. Our common enemy is injustice". 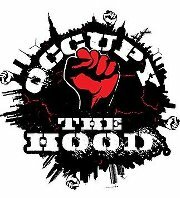 For more information on the Occupy the Hood Movement, visit their Facebook page here. 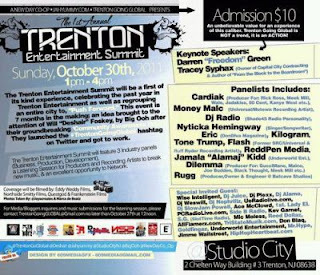 TRENTON-- Just last week, the First Annual Trenton Entertainment Summit, a networking and informational gathering, was held at ‘Studio City New Jersey’. Area artists and entertainers came out to support the summit. Trenton Recording Artist Big Ooh! and Social Activist Will “Deshair” Foskey organized the groundbreaking Entertainment Industry Seminar to boost morale and promote Inner-City Unity in a town where talent often goes abroad and never looks back, in order to become successful. Trenton, home of the well-known hip hop group, the Poor Righteous Teachers, was proud to be the venue for the Trenton Entertainment Summit. The purpose of the summit was to inform and advise local entrepreneurs of new ways to brand their business, while teaching people the art of professional networking. Panel discussions focused on Brand Development, Business, & Music and Film Production. Special Guest speakers, Darren “Freedom” Green and Tracy D. Syphax, both success stories from the area, opened and closed the 4 hour event with inspiring messages of defying all odds and strength of mind. And the event sponsor, Wells Fargo Bank, talked to attendees about business accounts and how to fund their projects through unsecured lines of credit. Attendees walked away with valuable information on how to construct proper business cards, networking techniques, music industry contracts, publishing, production, social media branding, and so much more. Moderator, Remix Mafia’s DJ Slowjam Powell brought pure energy and over 20 years of Music Industry knowledge to the table, asking the right questions to pull answers from panelists the audience could use in their everyday business dealings. Championed by Big Ooh! and Deshair, the Trenton Entertainment Summit was organized and brought to fruition in just 12 days. 150 people attended the event, including one of Trenton’s Treasures, the Legendary DJ Juice. Panelists included Cardiak (Producer For: Rick Ross, Meek Mill, Wale, Jadakiss, 50 Cent, Kanye West, etc. ), Money Malc (Universal/Motown Recording Artist) , Dj Radio (Shade45 Radio Personality), Nyticka Hemingway (Singer/Songwriter),Eric (DonDiva Magazine), Flash Kilogram, Flash (Former SRC/Universal & Ruff Ryder Recording Artist), ReddPen Media, Alamaj (Underworld Entertainment), Hellfire (Producer), Rugg (Producer), Tone Trump (New Single “Afghan” featuring Young Jeezy), &; Brad Fulton (in-house engineer at Studio City New Jersey). The Trenton Entertainment Summit will re-air on www.JahYummy.com in the coming weeks. For more information about this event and the “Trenton Going Global” Campaign, contact Will “Deshair” Foskey at TrentonGoingGlobal@gmail.com. 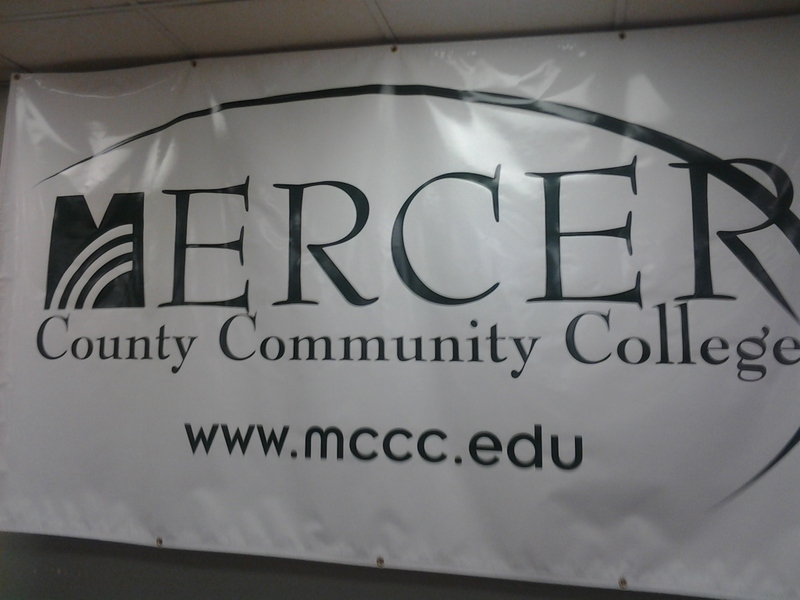 TRENTON-- Area residents head to Mercer County Community College (MCCC) downtown at their James Kerney Campus to be a part of The Love of Neighbor Caravan. 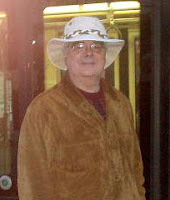 The event was hosted by MCCC Professor Alvyn Haywood. In a press release, it was stated that, "The Love of Neighbor Caravan was created to foster better human communications, more informed civic engagement, and to help cultivate a social environment where each individual can reach their full God-Given potential". The Caravan has many parts or components to it. Saturday's event was one among many to come. 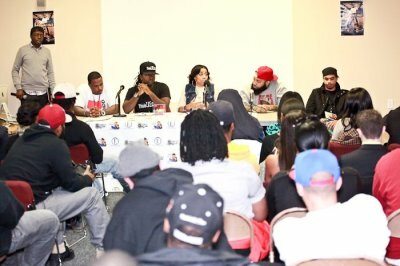 This past Saturday, the Caravan, had a panel discussion addressing issues involving education, hip hop, career development, etc. Members of the panel represented different walks of life. On the panel were Eric Watson, Professor of History at MCCC, Dr. Renee Walker, CEO Hope, Glynis Tart, Carmine Lamarca, Patrick Hall, and William Mackson. During the presentation, music was performed by Tiger Mic aka William E. Mackson, area author, and Bill Baylor, longtime musician and producer. Later, Trenton native Errick Wiggins was recognized for his service to the community. He was the recipient of the Ally For Humanity award. Members of the audience offered their feedback regarding the presentation. Kyla Scott, a Trenton resident, brought her niece and nephew with her and said, she enjoyed the program because it is important to help out in your community, she said its all about 'each one, teach one'. Another Trenton resident, Shaneek, said she works with the city doing outreach work and came out to gather information on how to develop resources on how to bring the community together and help children. She went on to say that the takeaway message she received from the event is that, "unity is power and if you have a passion for what you love, the sky is the limit". Shaneek also mentioned how well the event was publicized on social networks like Facebook. Sa Mut A. Scott, a Trenton resident who teaches yoga said that the presentation was "fabulous". She went on to say that she walked away from the Caravan recognizing that "there are people in our communities that are trying to make a difference. There are several people that you don't hear about in the mainstream media who are in fact working hands on with the children of the inner cities and that is very optimistic and hopeful for us". One of the panelist said, CEO Hope, said that the one takeaway message he received from the Caravan was that "everybody plays a part, everybody brings something to the table when it comes to community development". He went on to say that members of City Council should have came out because their presence was needed to represent their individual wards.The next Love of Neighbor Caravan is scheduled December 10, 2011. For more information, please contact the host Tim Razzac at (609) 379-2885 or you can email him at join.the.caravan@lovetheneighbor.info. CHERRY HILL--Grown Folks Entertainment in association with Philadelphia emcee Butterball from WDAS, will be hosting a festive get together at the Crown Plaza in Cherry Hill on Thanksgiving, November 24th. There will be live entertainment and door prizes. Music will be supplied by DJ Andre The Giant from Philadelphia radio station, WDAS. For those that purchase tickets and mention Grown Folks Party, there will be discounted room rates if you choose to stay at the Crown Plaza. Grown Folks Entertainment event promoter Greg, of central jersey, said that this gathering is a great opportunity to hear great music that you grew up listening to. Its very seldom that the older mature crowd can hang out in a fabulous setting like the Crown Plaza. Yet he also said this event is going to be "great because you can take your spouse, your friends, and even your parents. We can all connect with the music. It is going to be a great time for whoever makes it". Tickets are currently on sale for this event. A portion of the proceeds will go to benefit the Cancer Foundation. For more information, please contact (609) 540-7768. When calling, mention Anwar's Reflections. TRENTON-- Mercer County Freeholder candidate Dion Clark says progress has been made at City Hall, but more needs to be done. Thursday morning, Clark, the longtime East Trenton resident, took a walk with Anwar's Reflections-- a Trentonian affiliate-- around City Hall, to highlight changes made to parking arrangements to benefit the handicapped. 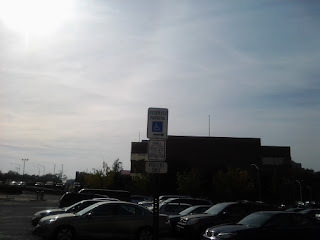 However, in the process of recognizing that sign of progress, a city van was spotted illegally parked in the rear parking lot. 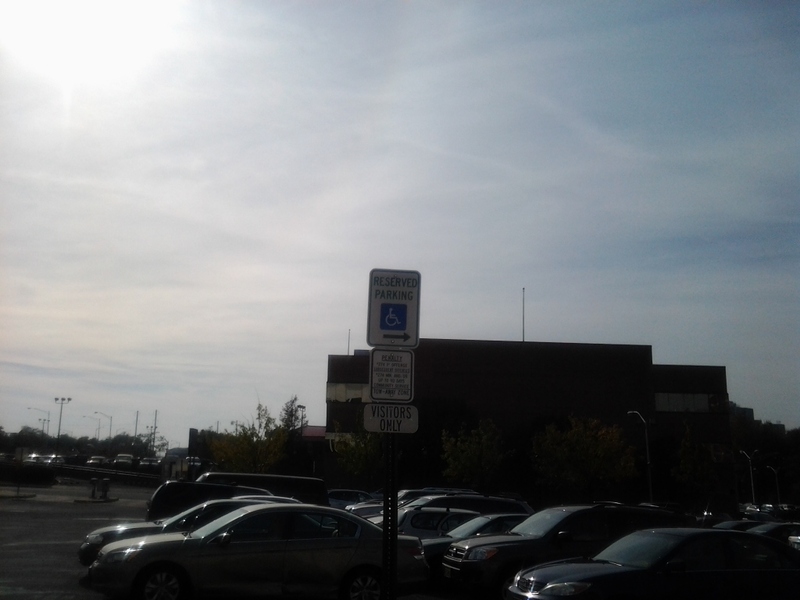 Clark brought the issue of handicapped parking to the attention of city council during their weekly meetings along with stating his concern on this blog just over a month ago. Changes have since been made in response to Clark's previous complaints. Just a month and a half ago handicapped parking spaces were located 70 feet away from the historic building located on East State Street, now they are located only 23 feet away. From a civic engagement standpoint, Clark's story is a testament to how speaking out and speaking up can affect change in your community. Yet while recording the positive change at City Hall, a city van was seen parked illegally for 30 minutes in a fire zone that does not permit parking at any time. During a brief interview, Clark said that "people need to be held accountable" regardless of any position they may hold. He said that we all need to be held to the same standard. 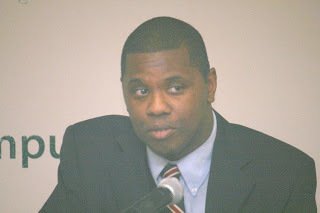 Clark, who has consistently spoken out on quality of life issues in Trenton, went on to suggest that City Hall should have someone enforcing the parking rules and regulations here at City Hall, someone like a security guard, because it presents a safety issue, an accident may occur when parking rules are violated. He went on to say that "there are many people here paying their bill, but that doesn't give you the right to park anywhere and break the rules". Clark says he intends on reporting the city van parking violation to ensure that someone is held accountable for not adhering to parking rules and regulations. TRENTON-- Local non-profit tells Trenton youngsters that there is no play without hard work first. Three years ago, Cameron Turner, Keon Smith, and Shawn Hedgepeth created an incentive program designed to encourage and reward Trenton youth to get good grades and attend classes regularly. From prom nights to concerts, these youngsters have it made if they can maintain a 3.0 GPA, have an excellent attendance record, and stay out of trouble. Incentive programs have become the subject of debate in the last couple of years. Critics say rewarding students for doing well in school undermines the joy of learning and can encourage cheating. Supporters say that kids need motivation, especially in high poverty areas like Trenton. According to the NJ Department of Education, Trenton Central High West has a 53% graduation rate. Jurzeecat Ent. CFO, Shawn Hedgepeth said, that he and his partners created the incentive program as a way to give kids that extra push that he and many others didn't have when they went to school. 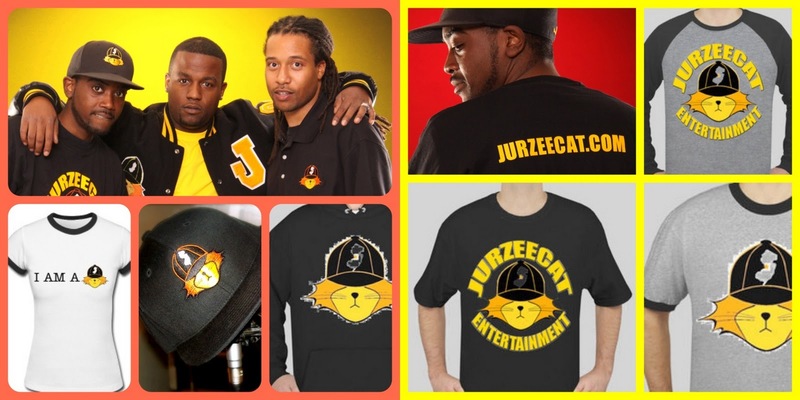 To help get their program off the ground, Hedgepeth and his associates have sought to raise funds by promoting and selling their own Jurzeecat Entertainment apparel. Yet help is still wanting. 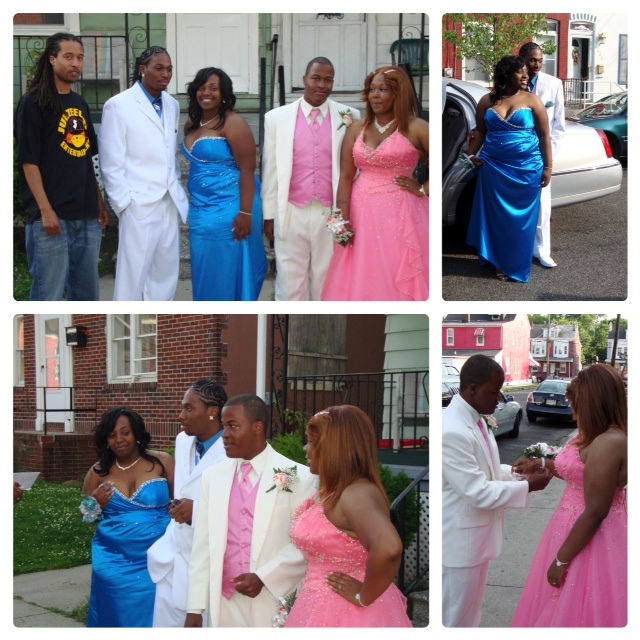 One individual, David Prewitt, a Kean University freshman, participated in Jurzeecat Entertainment's Prom Night event in 2009. He and his date, Kierra Levie, were escorted to the prom in a limousine care of Jurzeecat after pulling their grades up and submitting a essay showing why they should be chosen. Prewitt said, "I had to take care of my grades. I had to write an essay about education and why I thought was important and why I should win the limo. Keon was my mentor. I did not have a lot of guidance growing up, so he was someone talk to. He motivated me, he was like a big brother". Prewitt is currently studying criminal justice at Kean. Prewitt had B’s and C’s before hand, but said the program got him more focused and it saved him a lot of money for the prom. He went on to say that he started getting A’s and B’s soon after despite starting off as a student that received D's. According to Prewitt, the incentive program gave him a push to improve his grades before starting college. Prewitt went on to say that Jurzeecat Entertainment's incentive program is a great opportunity for other seniors in high school and other city youth. He said, "I think the program was great for its mentoring, we need male role models". 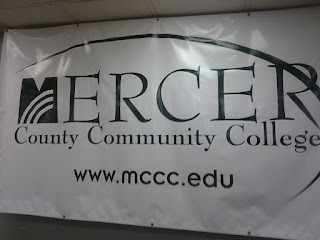 Kierra Levie, Trenton High graduate and upcoming nursing student at Mercer County Community College, said that she heard about the program through her boyfriend and prom date, David. She said that she had to maintain good grades and write an essay. I wanted to make sure everything was right before heading to college. Jurzeecat Entertainment provided limousine transportation, took pictures, and supplied a gift basket. Levie said that, "its a wonderful program, I think with anything in life, you should earn it and work hard for it. I think that's what Jurzeecat Entertainment is all about". Trenton Central High School (TCHS) Principal Marc Maurice said that he wants Jurzeecat Entertainment to be a part of their School Pride Program, which will reward students for good behavior, good citizenship and academic efforts. Maurice said he is looking forward to exploring the possibilities to collaborate with Jurzeecat Entertainment. When asked about rewarding TCHS students for doing well is school, Kinya Boyd-Williams, a local parent, said that the program could work for certain kids and motivate them to do better. She went on to say that Trenton High kids need something like this because there are many other things out there that kids find attractive but are not good for them. Kinya said, why not make doing well in school attractive. Kamira, a senior at TCHS that gets B's said that getting a limousine to prom or attending a free concert would not really motivate her to take it to another level academically, but that it would probably encourage her classmates. To help or get involved, contact Jurzeecat Entertainment CEO, Cameron Turner, at 609-496-1550. BORDENTOWN-- Area author and businessman William Mackson pens hip hop book to curtail childhood illiteracy but receives no support from city hall and board of education. Mackson, a resident of Hamilton Township released the book, The Hip Hop Catz, The K9 Crew, a year ago as a way to "get our babies to read, especially in the urban community by using characters that they can relate to". 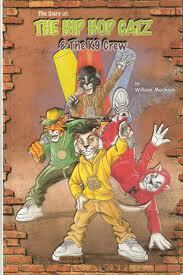 From DJ Cat Scratch to Tiger Mic, Mackson spins a tale of four cats that like to rap, rhyme, and have fun. The Hip-Hop Catz teaches children how to observe situations and solve problems as they explore the world of these urban felines. Along the way, kids learn the alphabet, basic words and phrases, as well as math skills, music, and physical coordination. Despite having a clear vision of what he wants to do with the book, Mackson says it has been a struggle to get the picture book into the hands of more children. Mackson contends that he has given copies of the book to city officials, members of the Trenton Board of Education, and others to no avail. According to the city's department of citizen's concerns, city government does not handle childhood literacy. The school board was contacted but there was no response as of this article. I was told to contact the public library to get assistance. Kathy Spalding, Trenton Public Library head, said that they have a copy of the book at the library and that it has a "good message for kids" but that at this time cannot speak on why the book has not received sponsorship and investors. Early education training specialist, Ingrid Campbell, said that, "Literacy starts at home. The love of literacy must start in the household. Immerse children in literacy early on. Literacy is multifaceted. It involves being both receptive and expressive. All of those aspects are important. It takes a family to be literate. No one can be dependent on the government, it starts with the community". From a community standpoint, that is precisely what Mackson is seeking to do by creating his picture book. Vivian Vasquez, author and Professor of Education at American University says that, "in order to best support the literacy learning of children today, we need to understand what literacies they currently learn and use and what participating with such literacies affords them". She contends that everyday pop culture should not be shunned, set aside, or kept at a distance". In an interview, Vasquez said, " I do believe that there is something to be learned from taking a close look at the everyday language and literacy practice of young people, which includes hip hop". Another academic, Ernest Morrell, a professor at UCLA, made the argument that hip hop can help young people develop traditional and critical research skills, gain mastery in the research article and conference presentation as genres. Morrell went on to say that the information students gather can be used to advocate for social and educational justice. Parent and well-known disk jockey, DJ Iron Mike, said that "I think that hip-hop always speaks to the youth...unfortunately, today's brand of hip-hop doesn't offer much subject matter diversity compared to that of the times of the 80's & 90's and even some in the early 2000's. Answering the second part, I think a book of that nature is a fine idea... if you can find a way to relate to a child and show them that learning can be fun and enjoyable, they'll typically be more receptive. Mackson has received positive feedback for his book. An individual whose YouTube screen name is LilMikeOnTheVibe said that the Hip Hop Catz is a "great idea". For more information, visit Mackson's website http://thehiphopcatz.com/ and mention Anwar's Reflections. TRENTON-- Longtime city activist Dion Clark speaks out about why he believes he is the best candidate for Mercer County Freeholder. As Election Day approaches, Clark, 48, of East Trenton, sat down with Anwar's Reflections-- a Trentonian affiliate-- to discuss a variety of topics, including but not limited to, his decision to run for office, his commitment to keeping locally elected office holders accountable, and much more. 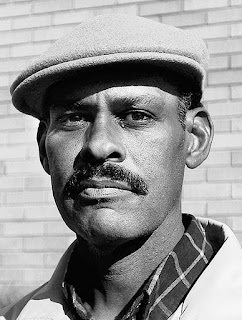 Growing up in the city's Wilbur Section, Clark developed a reputation as city watchdog and a committed community activist. 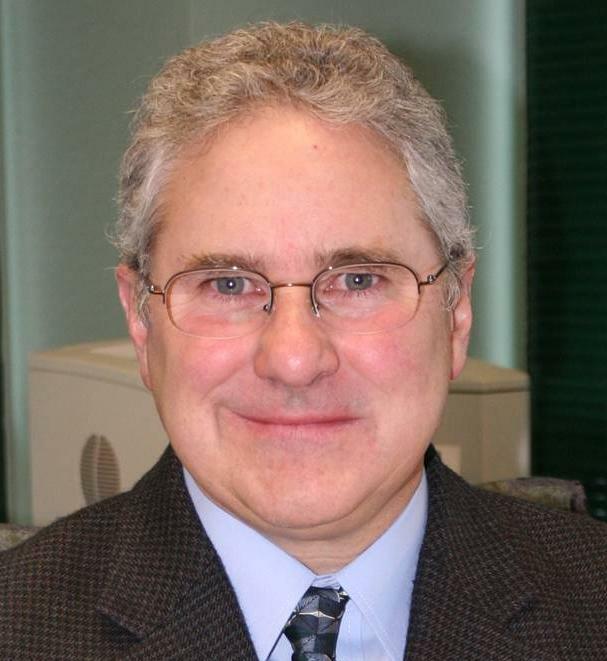 Over the years, he has been a staple at city council meetings. From holding city councilman, Alex Bethea, accountable for occupying a handicapped parking spot at City Hall to helping nab a thief on his street, Clark has a proven track record in the community. Clark said that he wants to stabilize taxes, promote economic growth and bring good leadership and good government to Mercer County. There are two other candidates running for Mercer County Freeholder, James Castelize III, Dave Maher along with Democrat incumbent Lucille R. S. Walter and John Cimino. Election Day is Tuesday, November 8th. 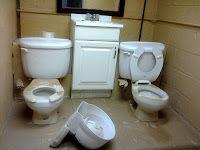 TRENTON-- Local independent private school finds itself still suffering from the effects of Hurricane Irene. The city's Garvey School was left with significant damage after the east coast hurricane swooped through town just weeks ago. 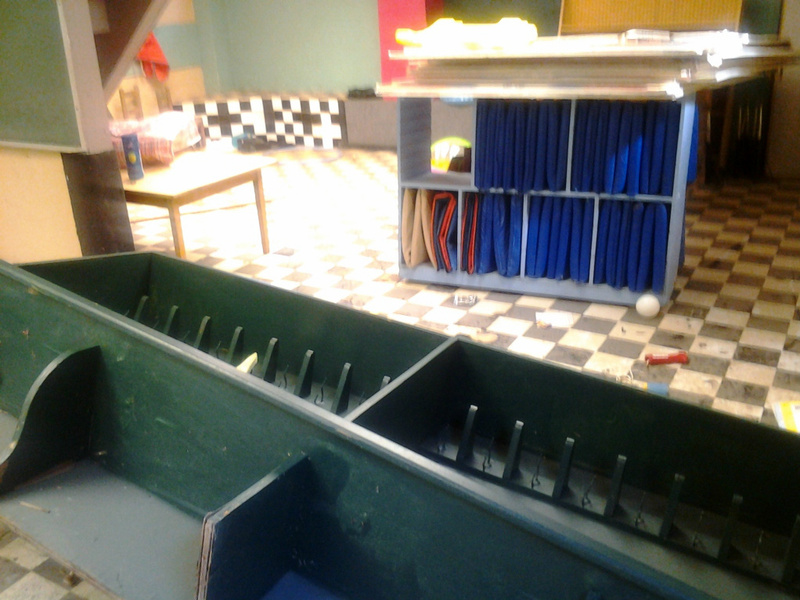 From observing the school's basement, many items were damaged and in need of repair or clean up. From daycare equipment to a damaged water heater, the Garvey School has seen its better days since opening in 2003. 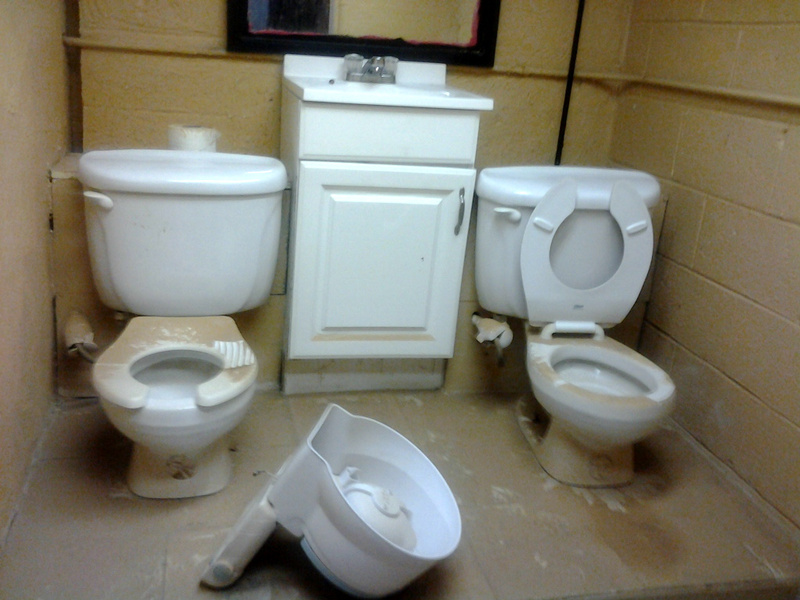 The damage can be readily seen at the school's Taylor Street location in North Trenton. 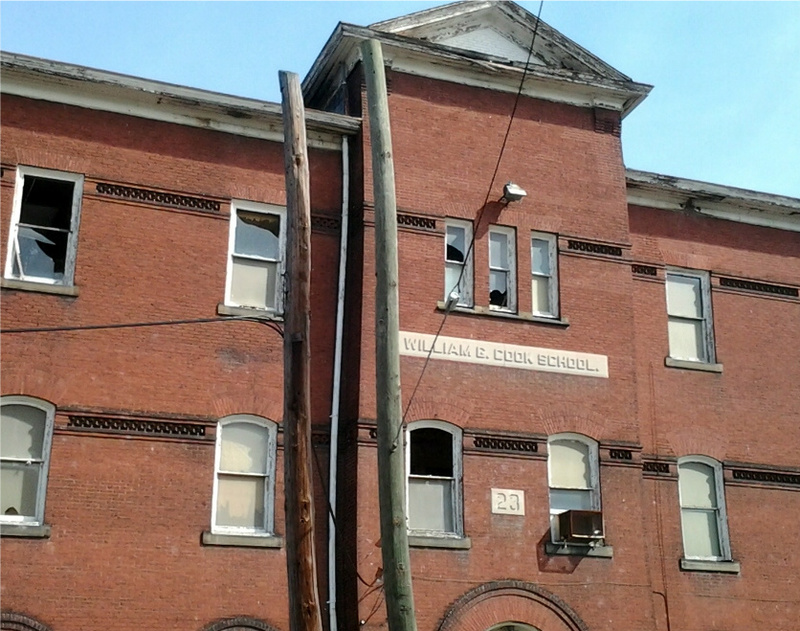 Over the last few weeks, this small African-centered private school, that was originally located on South Warren Street downtown for the first three years of its existence along with two other locations, has sought to drum up financial support from area residents and philanthropists to repair the damages. Up to now, the school has raised around $2,500 in cash from area residents and received significant help from YouthCorps, a volunteer program for young adults, and 5 Brothers Grim, a local flooring company. Yet more needs to be done according to the school's principal, Baye Kemit. In an interview, he said, "the basement still needs a new floor, we have to continue with our hazmat clean-up, we also need new carpet". According to Kemit, the school's insurance company is unable to take care of many of the damages because they do not cover flood related problems. So he is calling on members of the community to step up and help out not simply with their wallets but also with their time and manpower. Kemit reports that the school is still awaiting insurance claims and have since rearranged their classes to ensure day to day school functions continue as scheduled despite the damage wrought by Hurricane Irene. To help raise funds to repair damages, the Garvey School is sponsoring a magic show that is scheduled for Saturday, October 29th from 1 to 3 pm. The show will be held at the New Jersey State Museum Auditorium located at 205 W. State Street, Downtown Trenton. For more information on how to get involved, contact the Garvey School at 609-792-9038 or visit their website www.thegarveyschool.org/. TRENTON-- Local entrepreneur Roland Laird, CEO of My Image Studios, helps seal a major $21 million deal in Central Harlem for a cultural and entertainment center that is scheduled to be completed by April 2012, but leaves Trenton in the lurch. After not receiving city stimulus funding from the Recovery Zone Bond program last year, businessman Laird and My Image Studios were not deterred. They continued talks and deliberations with private investors to close the deal, yet Laird says he cannot speak about plans to do something on a similar level in his home town due to "legal issues". The Trentonian reached out to Laird to obtain clarification on what those legal issues were but did not receive a response as of this post. Laird and his associates received new market tax credits as a way to help finance the 20,000 square feet center designed to highlight African and Latino art and culture, which will be located on the ground-floor retail space at the Kalahari Condominium, a 249-unit affordable housing development at 40 W. 116th Street, between Lenox and Fifth Avenues. New market tax credits are designed to stimulate private investment in distressed urban and rural communities like Harlem and Trenton. Goldman Sachs, an urban investment group, purchased the new market tax credits and issued them to BRP Development, a New York based construction company, who then provided them to Laird and area developer Full Spectrum NY to finance this project. Prudential, a financial services company, also played a key role in getting the project started by providing a loan. Construction of the new facility began just this past Wednesday. Laird estimates that the project should create 50 jobs now and is expected to double that in the near future. The local entrepreneur said that the center should have a significant impact in the community. The center will feature three performance centers that will hold 317 seats. It will also have a 7,000 square foot restaurant and lounge where people can enjoy cuisine from the Black community, Puerto Rican community, and the European community while they live entertainment from various artists and entertainers. Laird said, "this center will not only provide more fun and entertainment, but it also provides more money and more skills to that community". Today, Anwar's Reflections-- a Trentonian affiliate-- sat down with up and coming gospel singer, Theresa Noye. She has a new album out called You Saw Me. Noye was born in Brooklyn, but now lives in St. Davis, Pennsylvania with her husband and two children, Regal and Nia. During the interview, Noye speaks about a host of issues, including but not limited to, her album, her family, and the struggles she has encountered during her life journey. From speaking to the vocalist, I recognize she has quite an eclectic taste for music. Noye said she enjoys everything from Jay-Z to Leah Smith, from jazz to gospel music. The Brooklyn native never envisioned creating an album, but says she was inspired to put together her debut album, You Saw Me, after finding out that her son, Regal, had been diagnosed with autism when he was only three years old. Autism is a growing phenomenon in our society. Children with autism usually have a difficult time communicating with others and looking at people in their eyes. According to the National Institute of Child Health and Human Development, autism affects one in 1,000 children in the US. During the interview, Noye said that all of the songs on her debut album are really a window into her "personal worship time", those times she talked to God about the situation with her son's diagnosis, those times she spoke about her pain, and about her family's struggles. Noye says the music was her own way to navigate through the pain that she was wrestling with during her life journey. In the vocalists' own words, she said "the songs were birthed out of my pain". She and her husband have created Regal's Walk, a fundraising and awareness initiative for the support of Regal's home therapy program and for educating families in the inner city. A portion of the proceeds that come from the sale of You Saw Me will benefit Regal's Walk. After releasing the album, the up and coming vocalist has received some positive feedback from those that took a listen. Robin McCollum of WNAP 1110AM Radio said that, "Her music is the reflection of her sincere and pure heart towards God and you can definitely hear that through her honest and straight from the heart sound". James Robinson, President of Light Records and co-founder of Gospelflava.Com, said that, "You Saw Me is like an intimate conversation with a loved one who then transports you into the presence of God". Robinson later went on to say that You Saw Me "will be a great addition to your worship library". One of Theresa fans, an individual whose YouTube screen name is Postprodept, said that Noye's title track You Saw Me, feeds her and reminds her that "God has not forgotten his children". Another individual, whose YouTube screen name is Deeluv215, said Noye's You Saw Me was "simply amazing". To get a copy of her debut album, You Saw Me, click here. 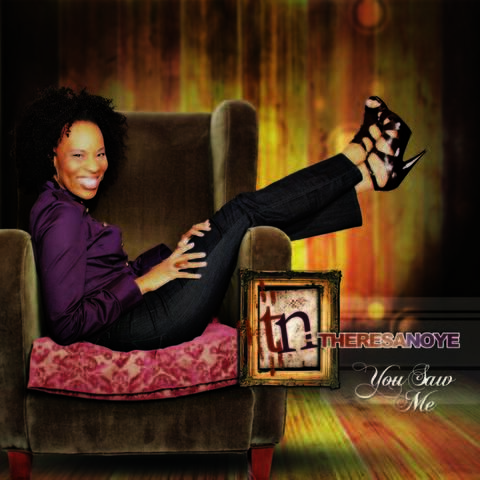 To access her website, www.theresanoye.com, click here. 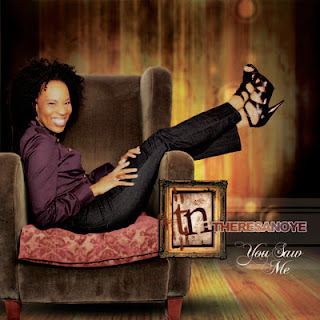 To reach Theresa, you can email her at info@theresanoye.com. For all other general inquiries regarding Theresa Noye and her ministries, please contact her Manager, Gregory Greene at greene@cool-beans.us and be sure to reference Anwar's Reflections. TRENTON-- Longtime community activist, Dion Clark, of East Trenton speaks out about the blight at the old Cook School located at the corner of Walnut and Cuyler Avenues Monday morning. The 101 year old building, William E. Cook School, has been vacant and abandoned since the 1990's. From looking at the facility, the building has boarded up windows with shattered glass, littered debris, and uncut grass. Clark, an activist that is passionate about safety and quality of life issues in the city, said that the building is an eyesore and needs to be tore down and used for another purpose. He has visions of turning the former school into a community center where computer classes are taught and new mothers can take their children to daycare. City resident, Ms. Jenkins, lives on the same street as the old Cook School, and said that the building is an eyesore and something should be done with it because it has asbestos in it. She went on to say that she isn't surprised why businesspeople don't want to invest in Trenton because "look at what you see when you walk or drive down the street, you see abandoned buildings, eyesores". Jenkins went on to suggest that the school be cleaned up or turned into a parking lot to make more room for residents to park when the city plows the streets. In an op-ed piece written by the Trentonian's own LA Parker, the well-known columnist, is quoted as saying, "the old elementary school house at the end of Walnut Avenue needs a facelift". According to the director of energy education, planning, and research at Isles, a non-profit organization that seeks to foster self-reliant families in healthy, sustainable communities, there are 1,719 abandoned buildings in the city of Trenton. City government officials are aware of abandoned buildings like the shuttered Cook School. Just this past summer, the city demolished two abandoned industrial buildings with the hopes of creating a greenway along the Assunpink Creek located between Monmouth Street and St. Joes Avenue. Trenton Mayor Tony Mack said that the razing of those abandoned buildings is the beginning of a totally different direction for the city. He was quoted as saying that he wants to rid the community of eyesores and turn them into beautiful open spaces. What happens to the old Cook is still undetermined. Clark and others say they will continue to voice their concerns to city council and members of the Mack administration until something is done to the building. TRENTON-- Here are some videos (interviews) of Saturday mornings celebration of Rev. Dr. John & Dorothy Gaines street renaming on what was once known as Euclid Avenue but is now known as Rev. Dr. John & Dorothy Gaines Way in their honor. TRENTON-- Local musicians James Royale and Andre 'Ballsey' Howlen release new album, 2 AM. 2AM is an eclectic LP that reflects the ups and downs of both musicians lives. From speaking to both musicians, creating the album was truly a labor of love and as such it took a significant time to complete. 2AM is both artists first feature record. These Trenton natives have described the LP as both raw and unimaginable in that it breaks entirely new ground by expressing real pain and providing an authentic soulful sound. Both horn players say the jazz album silences the critics and disarms the cynics who said they could not do it. Both artists say the album speaks to bona fide music lovers. Howlen and Royale have performed at venues the likes of the city's well-known Cafe International, Maxine's, Fat Cats, Rider University, among other places. 2AM was recorded and produced by Carmen. The 12 track album is now for sale. For more information, call 609-414-0512 or email ahowl1@yahoo.com. TRENTON-- After collecting data from local small business owners in the Trenton Mercer County area, I have noticed some patterns and commonalities among those that participated in Anwar's Reflections exclusive interview series. For one thing, a significant amount of the area's businesspeople said that 'word of mouth' is one of their primary ways of promoting and advertising their small business. What this tells me is that that if you satisfy or please your customers with a quality product or service they are likely to tell their friends and family about their experience with your business thereby giving you free advertising. So the takeaway message is: do what you do well and others will spread the word on your behalf. For another thing, many of the participating entrepreneurs said that planning is a critical part of starting and running a small business. What this tells me is that to be successful one needs to not simply have an idea of what they want to do, but they must also create a plan that indicates the how, when, and where of their business venture. For example, how many competitors are in the market I'm trying to enter? When should I decide to promote or advertise my business on radio, television, or the internet? Where should I locate my business? Location is key. All of these questions require research and planning and are essential for business success. Interview series results also suggest that internet marketing is growing. Small businesses are utilizing social networks like Facebook, Twitter, and LinkedIn. These entrepreneurs see the potential of the Internet and how many customers they can reach with the Internet's help. In this Information Age we're living in, all it takes is a click of a mouse to reach millions of individuals at a relatively low cost. In an economic downturn, small business owners are seeing the value of a strong Internet presence. As the saying goes, small businesses are the heart and soul of the economy. Let's celebrate and learn from our communities entrepreneurs. As new small business ventures emerge in the Trenton, Mercer County area, Anwar's Reflections will be sure to keep you posted. THANK YOU ALL for your support. Stay tuned. TRENTON-- Area residents head to Checkers Food and Spirits located in the city's downtown district Thursday night as part of their monthly Downtown Social Club. Checkers, a restaurant that has been a staple in the Trenton community for 25 years now, serves burgers and soups as their specialty. They also provide a bar where you can enjoy a cocktail with your meal. The restaurant was awarded the 'Best Burger in Trenton' by readers of the Downtowner. Classics Bookstore owner, Eric Maywar, invited members of the community to Checkers Thursday evening. The folks at Checkers were gracious enough to let members of the community have a bite to eat and grab a few drinks during their off hours. Anwar's Reflections--a Trentonian affiliate-- was on hand to see what others were talking about and to get a feel for what an evening at Checker's was truly like. From firsthand experience, I have to say the food was tasty and the social atmosphere was inviting. Once you walk in, you are greeted by hostess and the owner, Tom Fowler. After it was all said and done, I ended up ordering a cheeseburger with potato salad. The burger was thick and juicy, flavorful to the tee. The potato salad had some appeal, but needed a slight dose of salt to my liking. Yet all in all, my experience at Checkers was pleasant, I would go again not only for the food but also for the friendly, down to earth atmosphere one experiences while at Checker's. Other people at the restaurant were also willing to give their feedback. One person, Susan Robinson, said that she had been to Checker's before but only for the cocktails, this was her first time trying the food. She said everything was delicious and the service was on point. Trenton resident Laurice Reynolds, said that she enjoyed herself as well and was hoping that Downtown Trenton shops and merchants may one day re-develop as a place that stays open in the evening. Another person, Ms. Mannella of Trenton said she also had a cheeseburger and was pleased but said the wine was substantial. TRENTON-- Political activist Daryl Brooks releases new audio-book, Why Me?, chronicling his life experiences as a Trenton resident, activist, and former candidate for US Senate. In the audio-book, the political firebrand recalls his days growing up in the city's Donnelly Homes along with his four year stint in prison for a crime he claims he did not commit. Brooks was convicted in 1998 on counts of child endangerment, lewdness, and sexual assault. From day one, he insists he did nothing wrong and that he was railroaded for his unapologetic, no hold's barred, political speech exposing corruption in high places. Anwar's Reflections-- a Trentonian affiliate-- interviewed individuals that listened to the audio-book to see what they had to say. Tea Party member George Hathaway, said the audio-book is a "good and courageous attempt to present Daryl to the political community. He came out of the closet, there was a lot of uncertainty regarding his background. he needed to make it clear to the larger community and many of the Tea Party. Its a sad story of corruption and victimization, what goes wrong in the inner city. It shows how a individual can get victimized and have their lives ruined for a long time. He went on to say that Why Me? "starts a conversation about what can happen when you stand up for what you believe in". He went on to say that Brooks' story illustrates how those who are wielding the power can come down on an individual, what can happen to an individual that goes against established power. The story shows that one takes a lot of risks in their hands when they challenge entrenched power". Hathaway goes on to say that the audio-book underscores issues that often go overlooked in the mainstream. Issues like "prisoner rights, its just a shame, its ruined a large part of his life. The book opens up a dialogue about these larger issues". Joe Siano, another Tea Party loyalist said, "I hope it [the audio-book] vindicates his name, I think that's why he's putting it out there, its a good effort to head this issue off and to explain it once and for all. Ultimately, its up to the audience to make their own judgment, listen to it, I think its up to the court of public opinion whether he will be able to vindicate himself, I think its a great way to have his story heard". Siano also thinks Brooks' story highlights issues of abuse of authority on the part of police department, the prosecutor, and the mayor's office. Founder of the blog, Restoring Freedoms, Lou Jacikoff, said that, "Why Me? raises questions about the criminal justice system, the judicial system, it shows the reader that the system needs a good looking at, it needs repair, it can no longer be about the good ol' boy system". "Our system is based on who can you hire as an attorney, it shouldn't be that way. There are two systems of justice: those that have and those that don't have, I think Daryl's story is a microcosm of what's happening in our judicial system where people are railroaded because they have a hard time defending themselves. Its disturbing, but there have been a lot of people out there that have been imprisoned but turned out to be innocent because they did not have proper representation. Daryl's story reveals that".